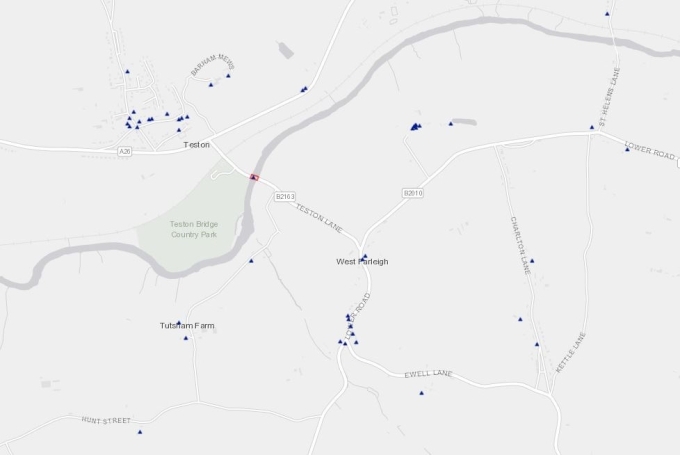 Historic England lists all the Listed sites in our village, a map of them is shown below and we have brought together details of some of them below. 15th Centuary bridge, Grade 1 listed in 1928. Details here. Single block of ragstone, about 0.30m high carved with three steep, narrow steps rising from north to south, parallel to road. Date 1693 inscribed towards top of road face. Telephone kiosk. Type K6. Designed 1935 by Sir Giles Gilbert Scott. Made by various contractors. Cast iron. Square kiosk with domed roof. Unperforated crowns to top panels and margin glazing to windows and door.